Also on the second level of the unit is a rooftop deck with its very own swimming pool. 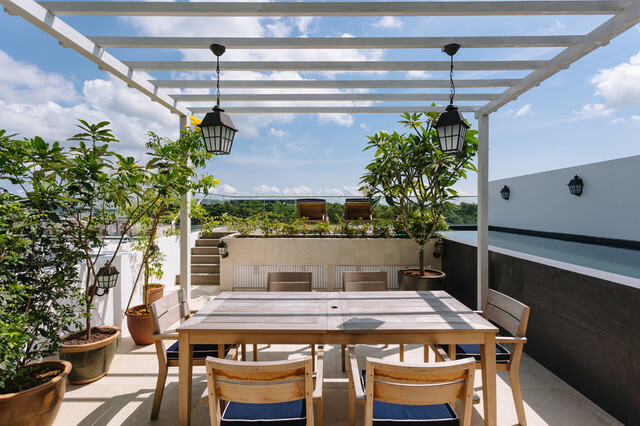 Ngo added an outdoor dining set to serve as an alternative dining spot; perfect for hosting and entertaining. 12. Location: SingaporeDesigner: Schemacraft InteriorsFeatures: A rooftop garden with a pergola and pool.